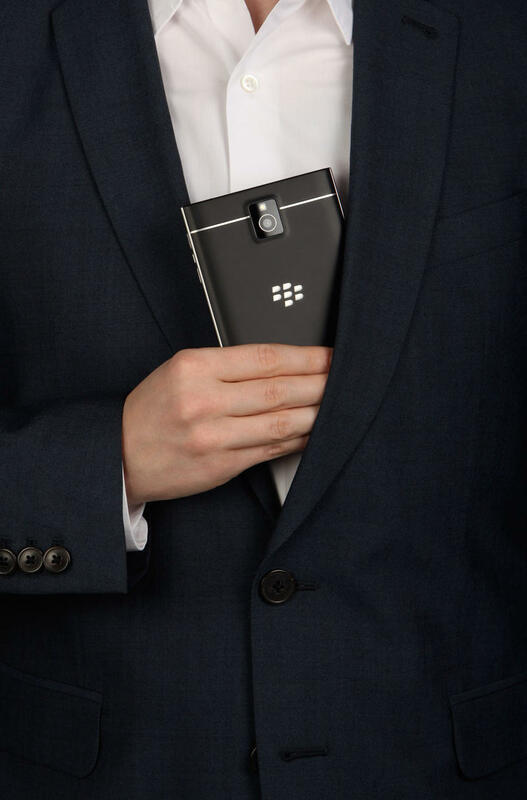 The BlackBerry Passport is officially official. 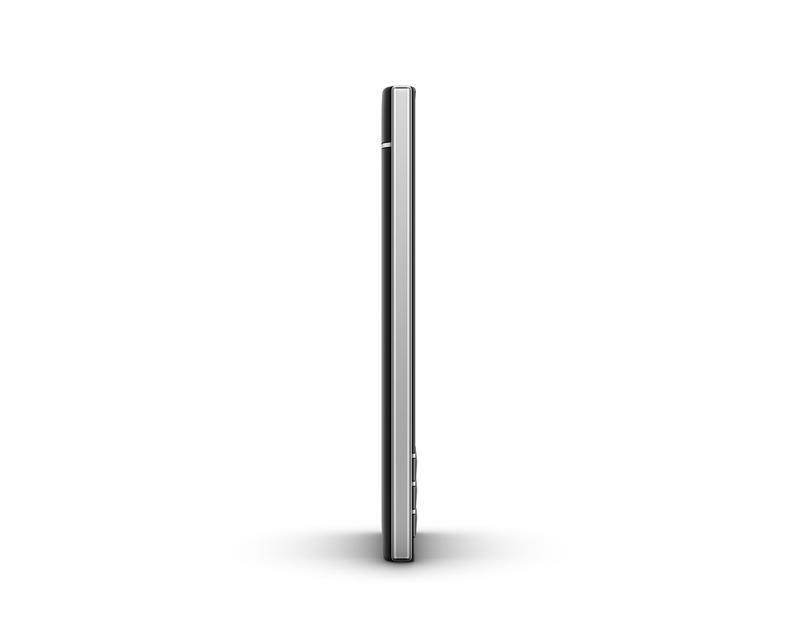 While the company teased the device several times before today, we finally have all of the information on BlackBerry’s latest flagship smartphone. It’s definitely a beast of a device and should probably been the phone that BlackBerry introduced way back when it launched BlackBerry 10 with the BlackBerry Z10. 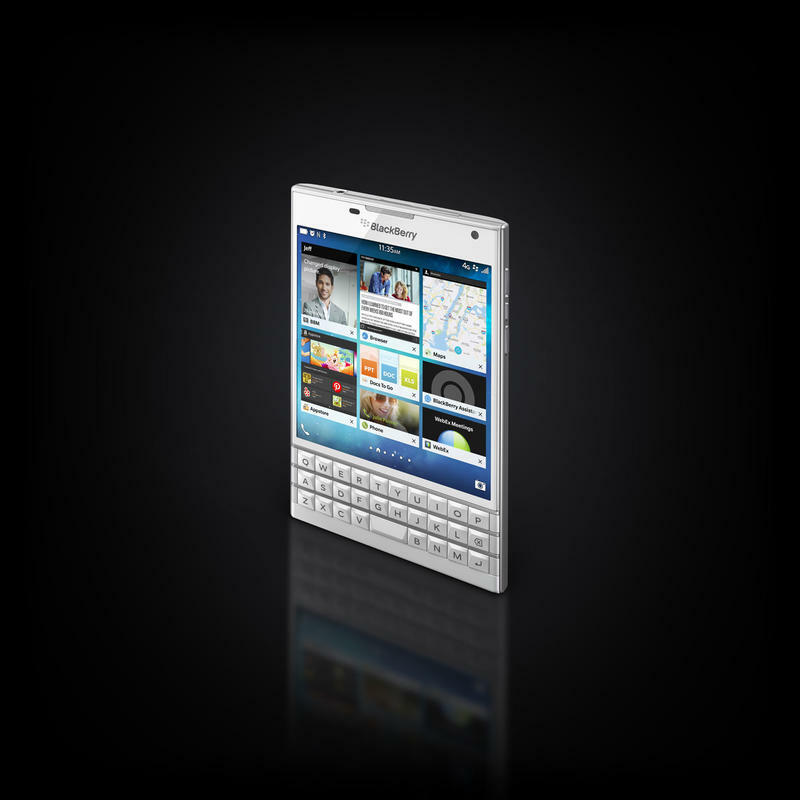 The phone features a stainless steel border running around all sides, a full QWERTY keyboard with touch functionality, which will allow you to swipe across it for certain tasks inside BlackBerry 10.3, a square 4.5-inch display with a super sharp 1440 x 1440-pixel resolution (453ppi), 32GB of onboard storage that can be expanded using up to a 128GB microSD card, 3GB of RAM, a 13-megapixel camera with optical image stabilization (the best ever on a BlackBerry), a 2-megapixel front-facing camera, a quad-core Snapdragon 801 processor clocked at 2.2GHz, NFC, Wi-Fi, FD-LTE for global roaming and a huge 3,450mAh battery. 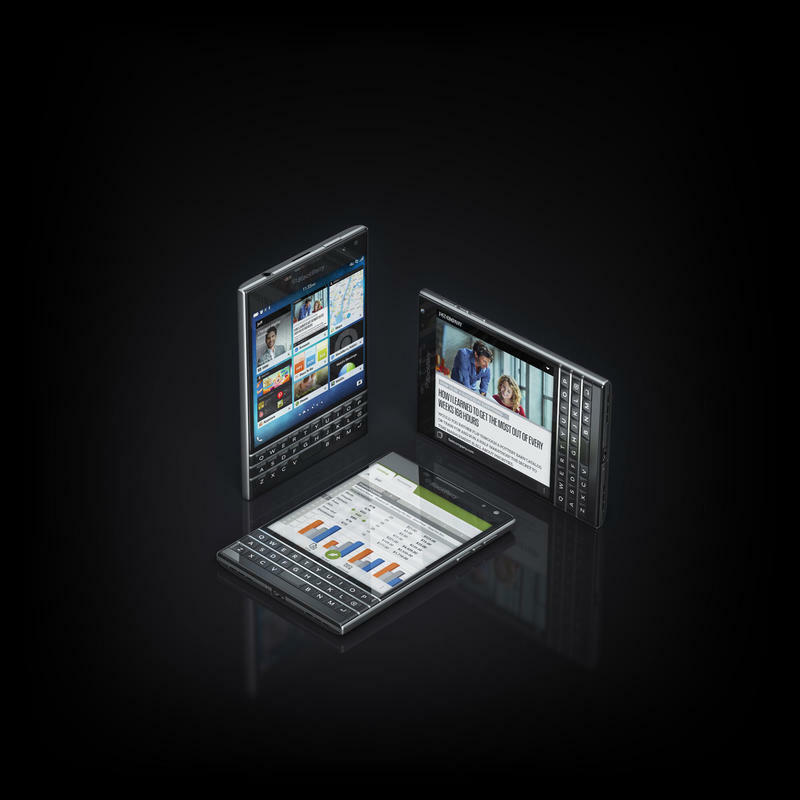 It also ships with a brand new “BlackBerry Blend” application, which will launch on iOS, Android, OS X and Windows, and allows you to manage files stored on your BlackBerry, respond to BBMs and more. It’s a secure piece of software that BlackBerry hopes will appeal to enterprise users who might not otherwise be able to access secure work files on personal devices. 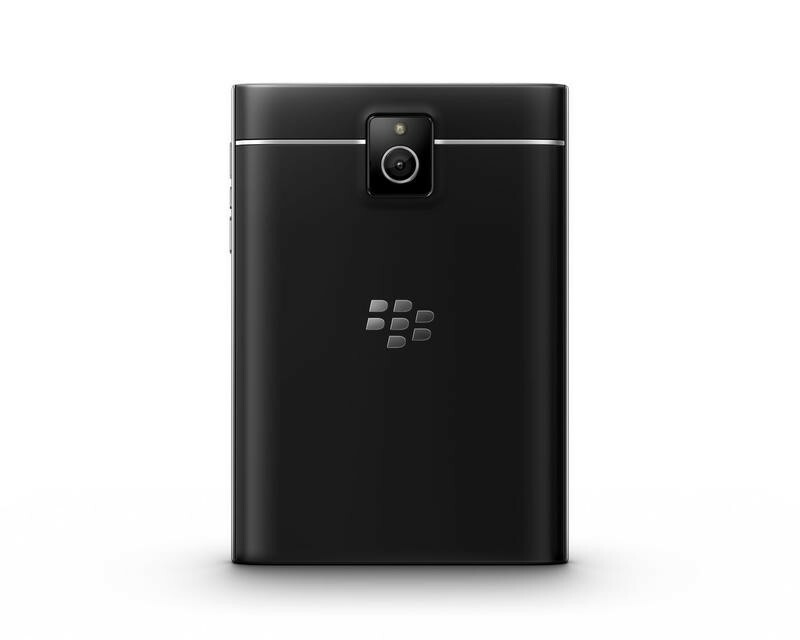 Speaking of software, BlackBerry OS 10.3, the newest operating system, includes BlackBerry Assistant, which is BlackBerry’s version of Siri or Cortana that provides sports scores, calendar updates, search queries and much more. 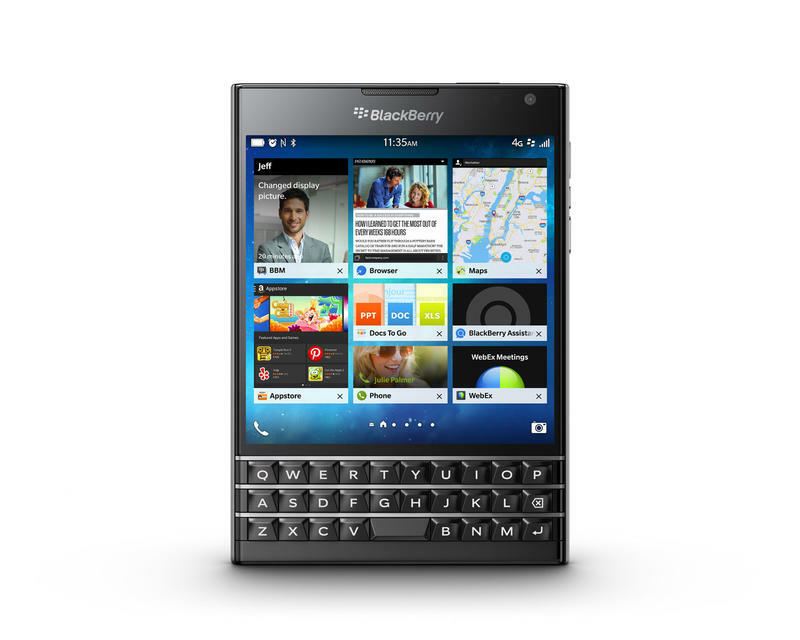 The BlackBerry Passport will launch on Amazon and will also sell unlocked in Canada ($699), France (€649), Germany (€649), the U.K. (£529) and the United States ($599). BlackBerry said it expects carrier pricing to fall in-line with what TELUS will sell the phone for in Canada ($250), though TELUS will sell the phone for $200 with a $50 smartphone plan between Sept. 24 and Oct. 21. 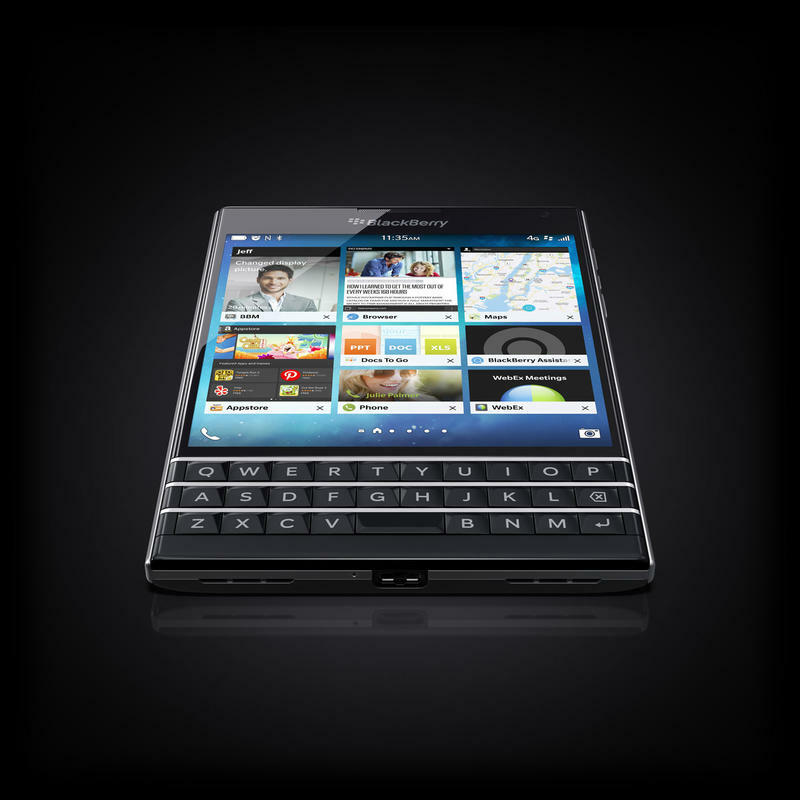 BlackBerry said the BlackBerry Passport will land in 30 additional countries around the world through carrier and distribution partners by the end of this year. It didn’t name partners, but said it will hit the following countries: U.S., UK, Canada, Middle East, France, India, Singapore, Austria, Germany, Nigeria, Saudi Arabia, Hong Kong, Indonesia, Malaysia, the Netherlands, South Africa, Australia, Vietnam, Belgium, Italy, Switzerland, Mexico, Venezuela, Philippines, Russia, Slovakia, Spain, Romania, and Colombia.